Yassin Terou is a proud business owner. 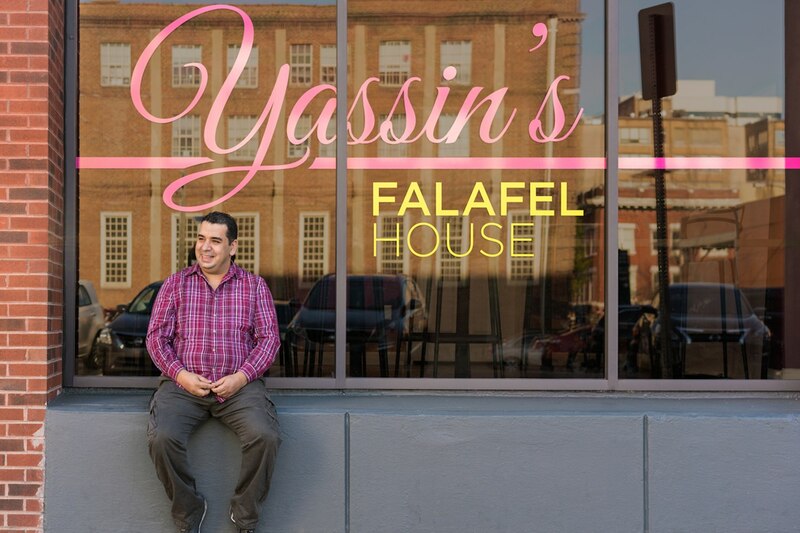 His restaurant, Yassin’s Falafel House, brings the food of Yassin’s native Syria to his new home in Knoxville, Tennessee. War forced Yassin and his family to leave Syria three years ago. When he arrived in Knoxville, Tennessee, he knew no one and had nothing but a few hundred dollars to his name. He asked if he could sell homemade falafel and juices at his mosque in Knoxville — the kind of food he missed from Syria. What started as two plastic tables and a Square Reader outside of a mosque is now a brick-and-mortar store — and a much-loved part of the Knoxville community where everyone is welcome, Tennesseans and immigrants alike. Yassin’s story represents the inspiring journey of so many immigrants in the U.S. Four percent of immigrants to the U.S. are business owners, and an incredible 11 percent of Syrian immigrants are business owners like Yassin, according to a study by the Center for American Progress. On Thursday, January 28, our CEO Jack Dorsey joined Yassin at his store in Knoxville to premiere a short film about Yassin’s incredible story. Following the premiere of the film, Jack chatted with Yassin about his business, what he has learned over the last three years, and what his plans are for the future. Yassin talked about the importance of being patient and working smart instead of harder. He also shared his dream of having a store in every city, giving other people like him the opportunity to start businesses, and spreading his message of love and inclusion. Jack also asked Yassin what the American dream means to him. Yassin’s story is part of our ongoing campaign, For Every Dream, that tells the stories of business owners across America. Tell us your dream or the story of another dreamer at dreams@squareup.com.